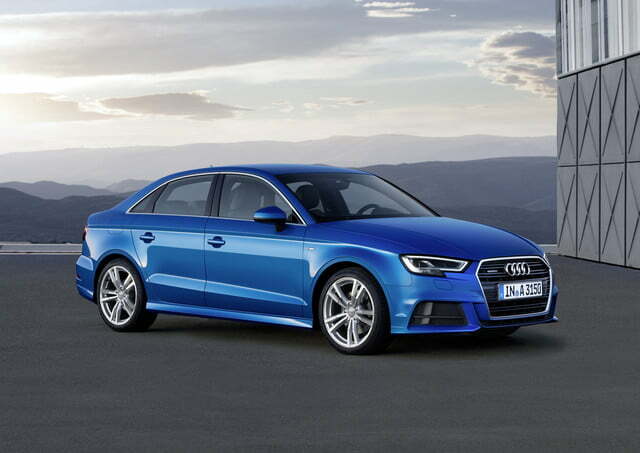 Audi’s European division has given the A3 a mid-cycle update that brings a new look, more tech features in the cabin, and an entry-level three-cylinder engine. 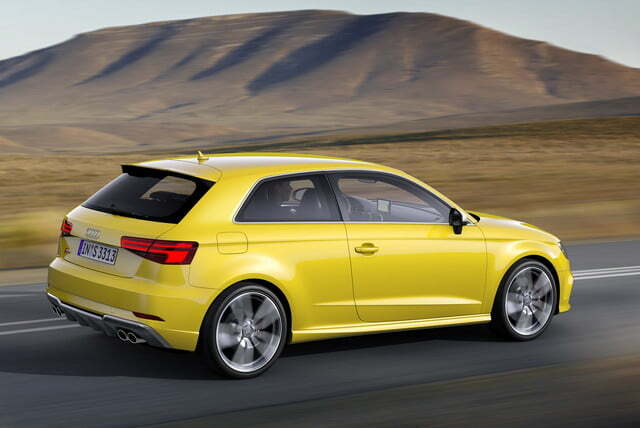 Predictably, the visual modifications made to the A3 are more evolutionary than revolutionary. 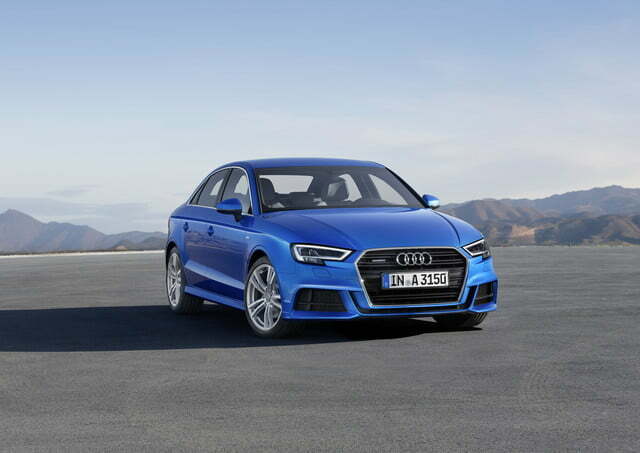 Audi has added a sharper rendition of its ubiquitous single-frame grille, a redesigned front bumper, and sharper headlights inspired by the ones found on the new 2017 A4. Out back, the updates are largely limited to a reshaped bumper and new-look tail lamps. 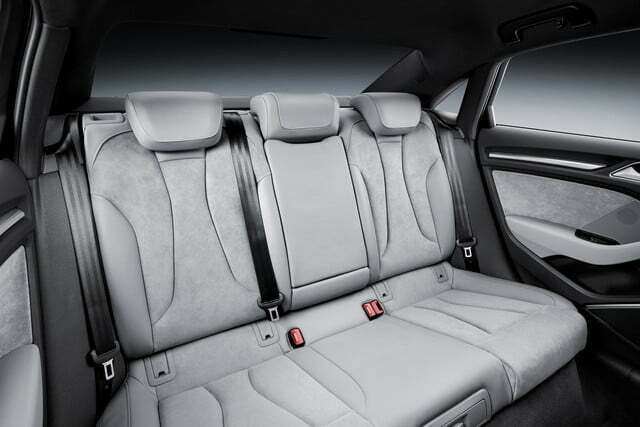 Inside, the A3 receives the latest evolution of Audi’s MMI infotainment system, and it can be ordered with the innovative virtual cockpit that originally debuted on the third-generation TT. Virtual cockpit replaces the traditional analog instrument cluster with a high-resolution 12.3-inch color screen that can be configured by the driver to show an array of information about the car and its surroundings. Audi has added traffic jam assist to the list of options. 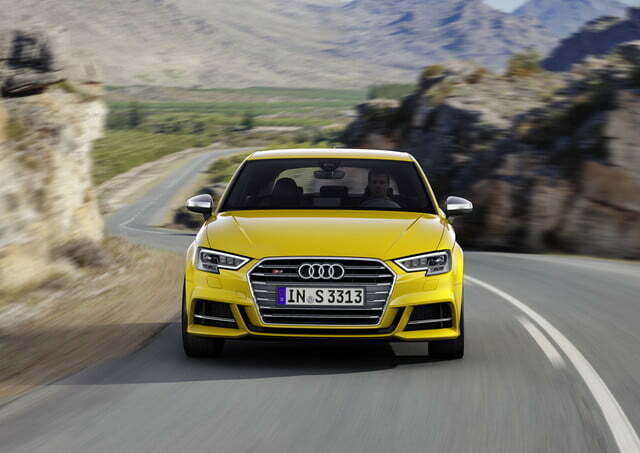 When turned on, this allows the A3 to automatically follow the car in front, and it can even briefly take control of the steering wheel in order to keep the car in its lane. Another optional driving aid is emergency assist, which automatically hits the brake if it detects that the car is about to hit an obstacle in the road. 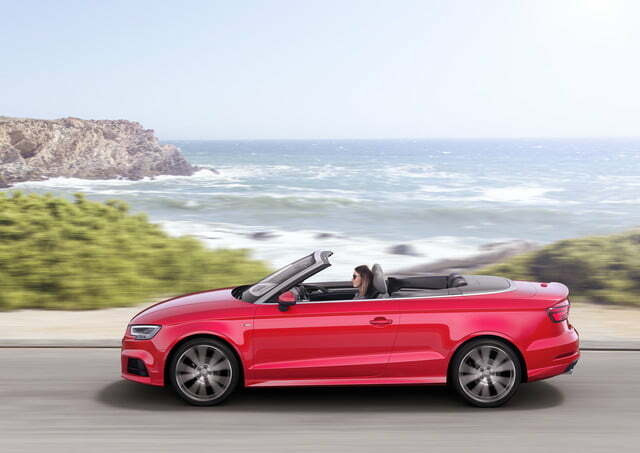 The new three-cylinder engine is a 1.0-liter TFSI unit that makes 115 horsepower and 147 pound-feet of torque from 2,000 to 3,500 rpm. 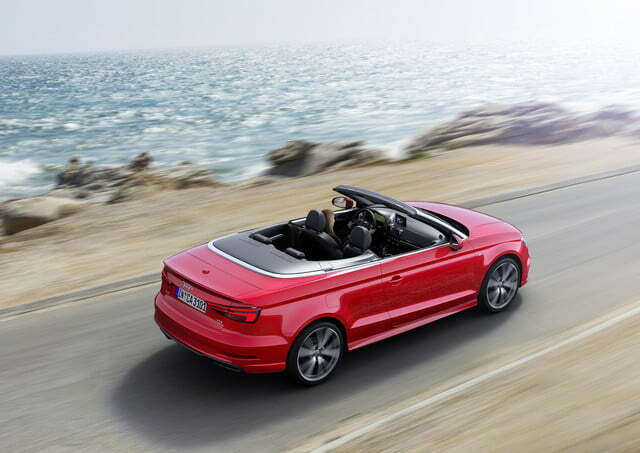 It’s only offered with front-wheel drive, though Audi hasn’t announced transmission options or performance specifications yet. 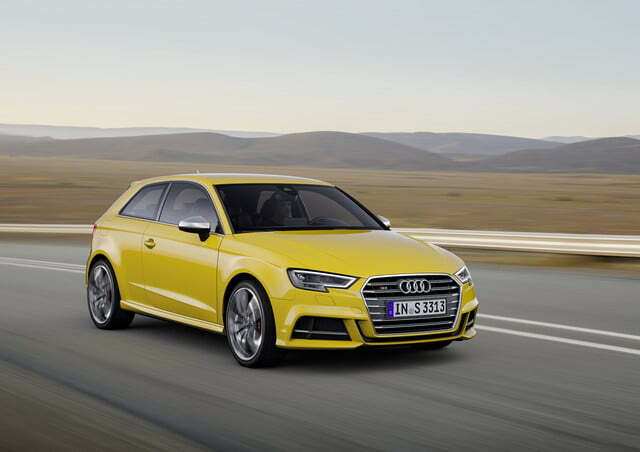 At the other end of the spectrum, the updated A3 is offered with a newly-designed 2.0-liter four-cylinder TFSI mill that generates 190 horsepower and a solid 236 pound-feet of torque from 1,500 to 4,200 rpm. 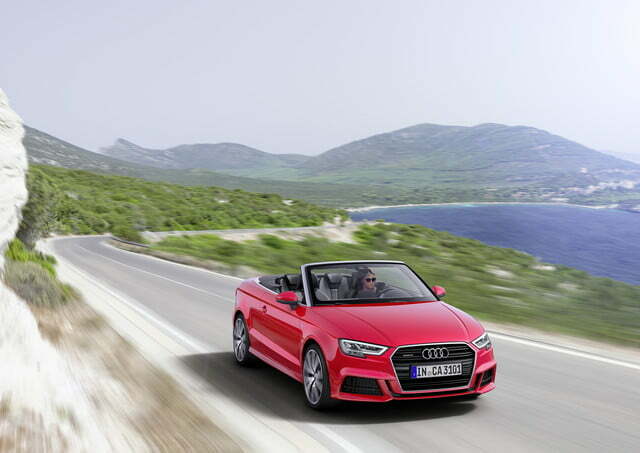 The four-banger is bolted to a seven-speed dual-clutch transmission that spins the front wheels, but Audi’s quattro all-wheel drive system is offered at an extra cost. 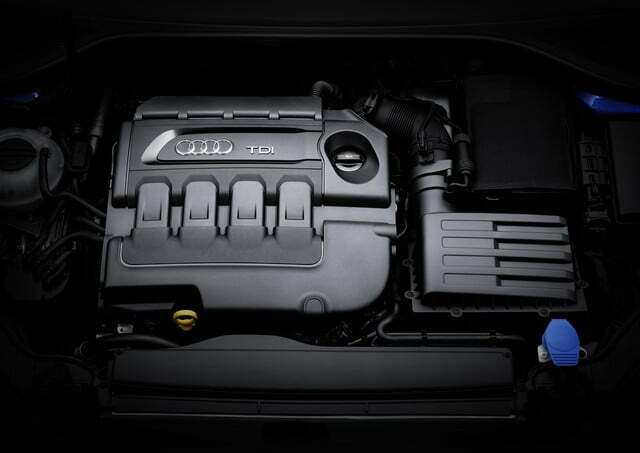 Buyers who prefer a diesel-burning A3 can choose from three TDI four-cylinder engines rated at 110, 150, and 184 horsepower, respectively. 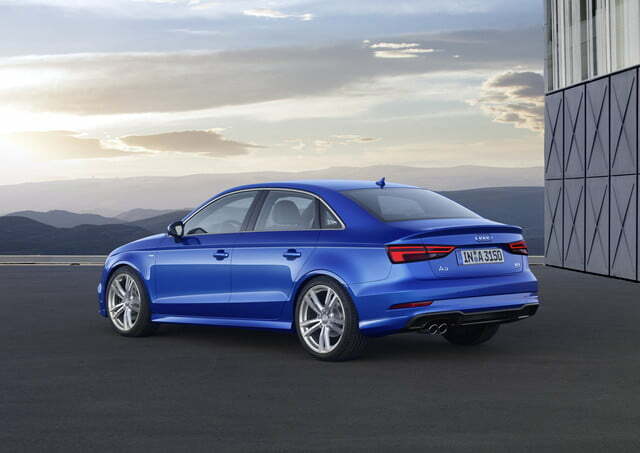 Moving up, the 2.0-liter TFSI engine that powers the S3 sees its output bumped slightly to 310 horsepower and 295 pound-feet of torque. Finally, the A3 lineup includes a plug-in hybrid model called e-tron that’s powered by a 1.4-liter turbo four teamed with an electric motor, and an eco-friend model called g-tron that can run on either gasoline or Audi’s e-gas fuel. 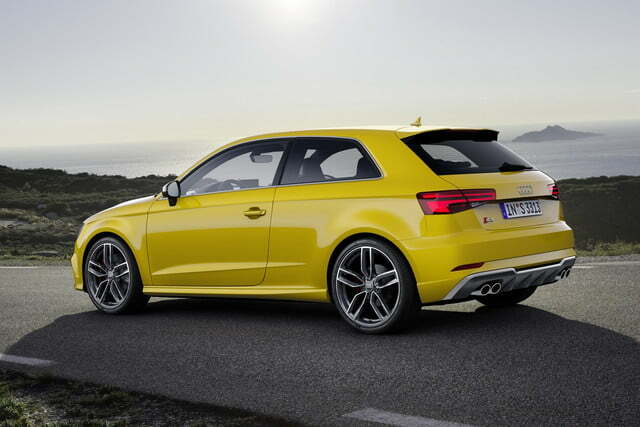 The updated Audi A3 will go on sale across Europe next month, and the first deliveries are scheduled for this summer. In Germany, the entry-level A3 with the 1.0-liter TFSI engine carries a base price of €23,300, a sum that converts to about $26,500. 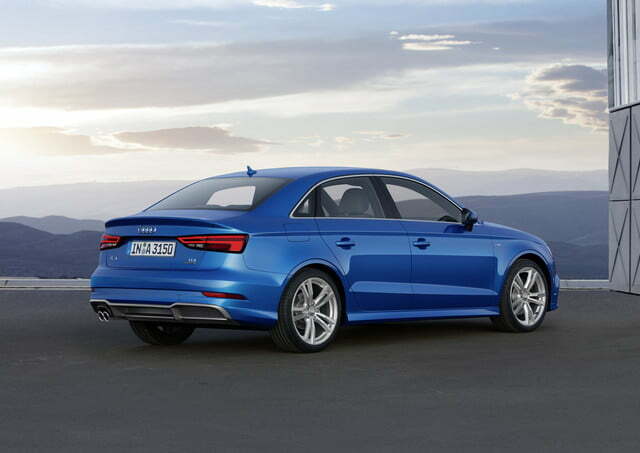 The U.S.-spec A3 is expected to get similar visual updates before the end of the year.